No 10 Fighter Squadron was formed due to the urgent need for a precision weapons delivery platform. Therefore, on 05 January 1996, this Squadron was formed at SLAf Base Katunayake with Six Kfir multirole fighter jets acquired from Israel and since then this Squadron has continued to render a magnificent service to the nation while keeping the Air Force ensign flying high. The main focus of the Squadron is to carry out close Air Support, Air Interception, Air Interdiction, Maritime Air Interdiction and Battlefield Air interdiction. Many ground offensives and maneuvers have been planed in almost all operations conducted since the birth of this Squadron counting on its ability and proven track record of delivering precise and timely attacks on the strong/decisive points of the LTTE. It is a loud and clear signal as to the recognition and confidence shown by the sister services in the capability and dependability of this Squadron. This reputation was put to the test during the operations conducted in the East in 2006, especially when the advance of the Army was stalled due to heavy resistance offered by the LTTE through artillery fire and firepower delivered from under the cover of hardened shelters. The Kfirs with their formidable firepower and accuracy were able to destroy and neutralize the hard points and artillery positions of the LTTE, effectively reducing the resistance to the advance of ground troops and reducing the number of casualties. After the success in the East, the operations moved to the Northern theatre and the Squadron continued to perform exceptionally well by destroying enemy ammunition/fuel depots, troop concentrations/ reinforcements and also by destroying LTTE maritime elements through maritime air defence. 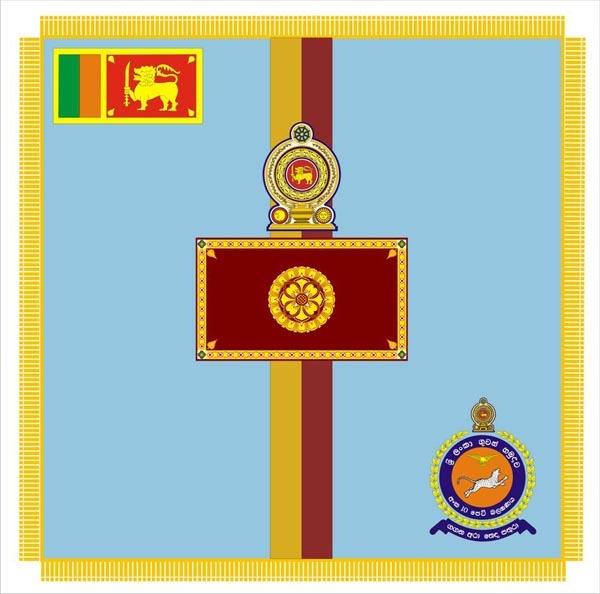 The accurate and timely attacks by this Squadron have had a huge demoralizing effect on the LTTE and have undoubtedly translated in to both tactical and strategic disadvantages for this terror outfit. One prime example is the history-making decapitation strike directed by the Kfirs at the LTTE's political Wing Leader S.P. Tamilselvam it created a sensation in the country and initiated the mobilization of the entire nation's support behind the fighting forces on a hitherto unprecedented scale. It was an enormous setb ack for the LTTE both locally and internationally. The destruction of LTTE's artillery positions located at Kalmunai point and Pooneryn that were pounding the SFHQ in Jaffna was an immense relief and a psychological advantage for the surface forces. Since its inception, the Squadron has logged more than 2,800 hours of operational flying and has delivered over 3,500 tons of weapons on enemy targets. In recognitions of individuals acts of gallantry performed in the line of duty, two WWVs, eight RWPs and eight RSPs have been conferred on the pilots of these Squadrons.